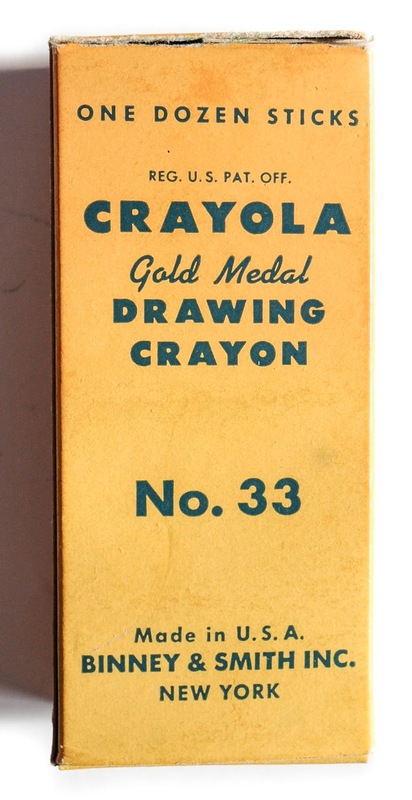 The Crayola Gold Medal Drawing No. 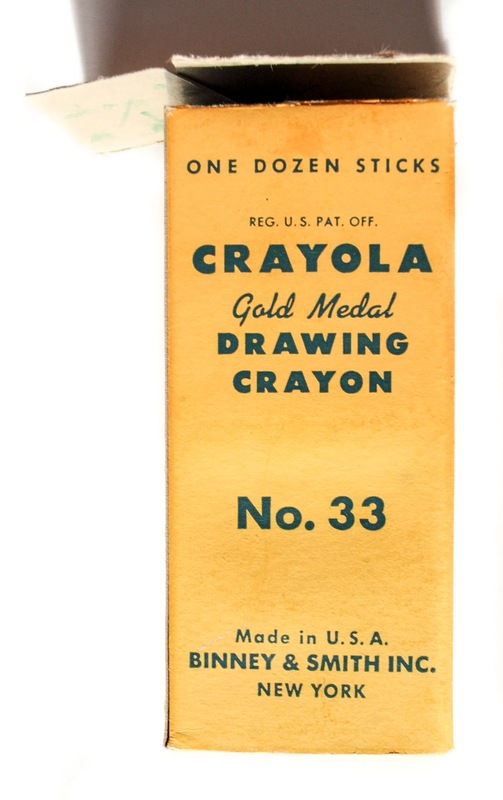 33 Crayons are some of Crayola's earliest attempts at Jumbo/Large crayons. 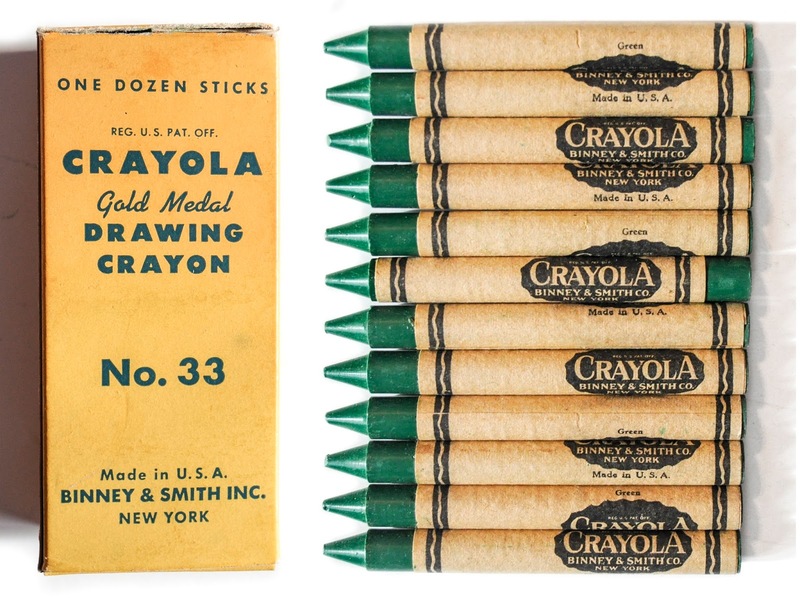 These crayon types were designated by the No. 33 in the title. They were packaged in this box until 1987. They came packaged 12 of the same color. 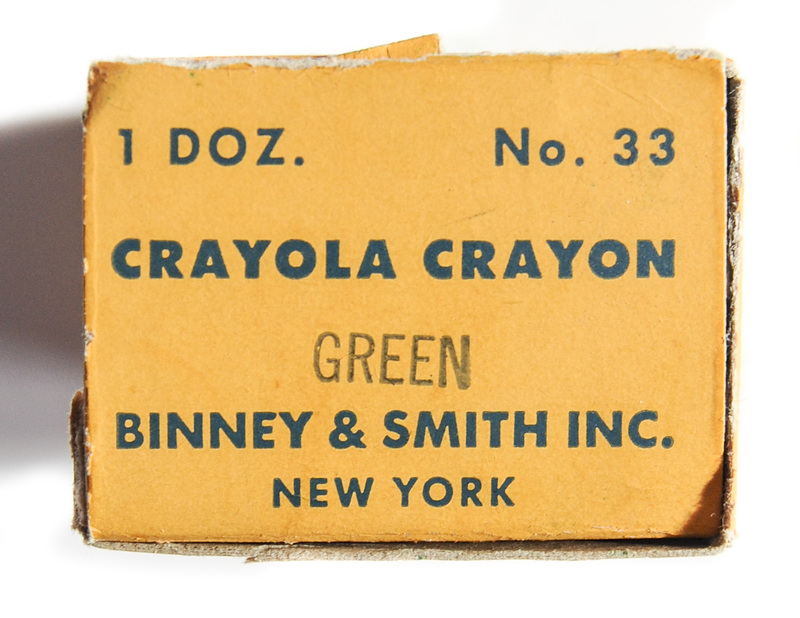 It is interesting to note that the crayons say BINNEY & SMITH CO. while the box says BINNEY & SMITH INC. I think these were made in New York before the company moved to Easton. 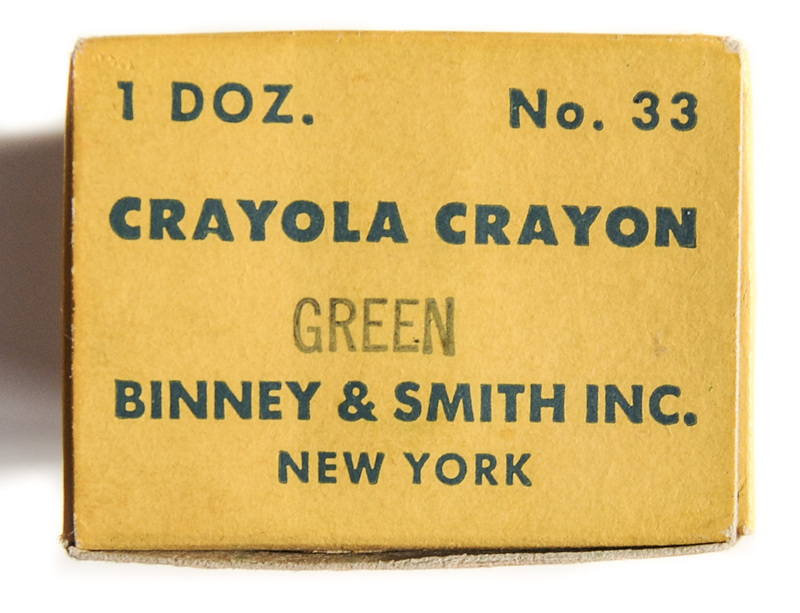 Now a days the jumbo crayons are made in Mexico. Other boxes: 1961, 1966, 1970, 1975, 1981, 1978, 1984 box types. There are boxes of assorted colors. The colors were green and yellow.